Routings are specially designed to serve the needs of seniors and persons with mobility challenges. The vehicle is fully accessible with a low floor and no steps. Please note that only locations listed on schedule will be serviced. • Scheduled pickup is at 9:08am (85 Walnut) and at 9:10am (201 Riverside), scheduled drop-offs are at 12:25pm and 2:40pm. • Call-in pickups are ONLY available at this location for Route 55 (Friday) before 1:30pm. Requested pickups happen prior to entering Cherryhill Village Mall. 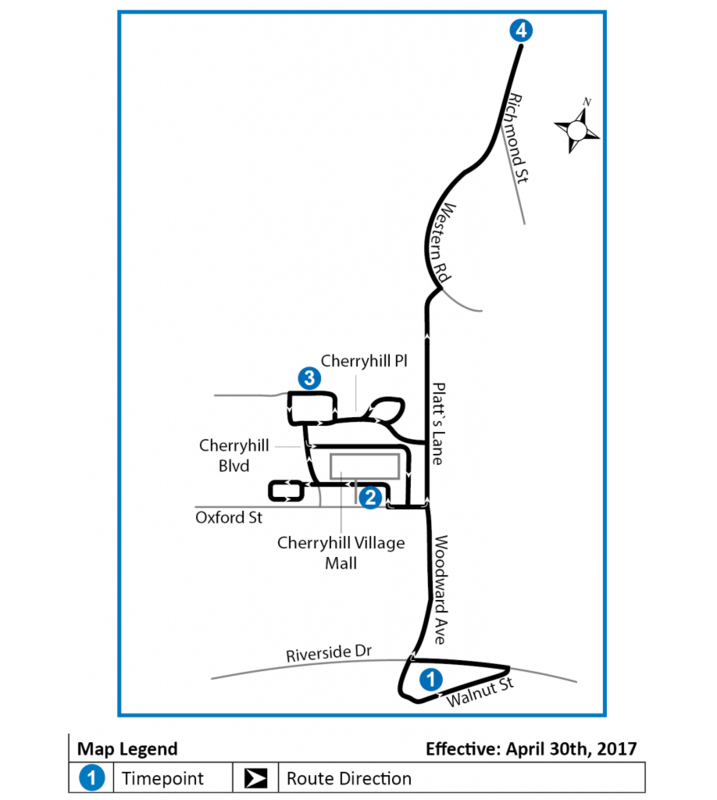 After pickups in Cherryhill Loop, passengers can request to be dropped off at Cherryhill Village Mall – rear entrance.